Here at Aponia Dental, we believe very strongly in the importance of preventative oral hygiene. Our team is actively involved in the community, and you can often see us promoting healthy oral care on television or at local events. We want to see clean teeth all over North Edmonton! 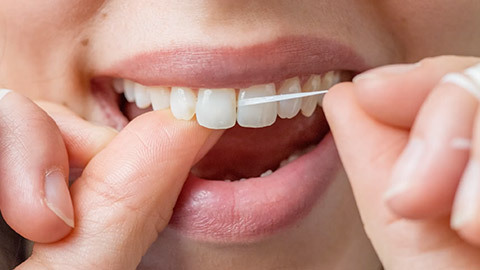 While daily brushing and flossing is critical, it’s also very important to come into Aponia Dental for regular hygiene visits. These appointments provide your teeth and gums with a thorough cleaning, inspection, and preventative maintenance. A hygiene visit at Aponia Dental is low-key and comfortable. Our dental hygienists will "scale" your teeth — removing tartar build-up — and polish the surface — removing minor stains. You may also receive a fluoride treatment to help fight decay. Regular dental hygiene visits with the Aponia Dental team allow us to spot problems and take action immediately — preventing the issues from getting worse. We understand that once you’re out of the dental chair, your busy life takes over and you begin to forget the things we’ve mentioned during your visit. That’s why Aponia Dental offers you a personal Health Status Report to take home. This personalized report card goes over what we did during your appointment, and describes our findings. It’s very handy, and it’s just one of the ways Aponia Dental is always striving to improve your oral hygiene. The health and wellbeing of our patients is very important to us. Contact Aponia Dental today to schedule a visit or learn more about dental hygiene. If you need more information about Oral Hygiene in Edmonton, contact us today.